How Many Brooklyns Are in the United States? If you were to ask a Brooklynite in New York City how many places called Brooklyn there are in the United States, it is likely you would hear, "There can be only one Brooklyn, right here." 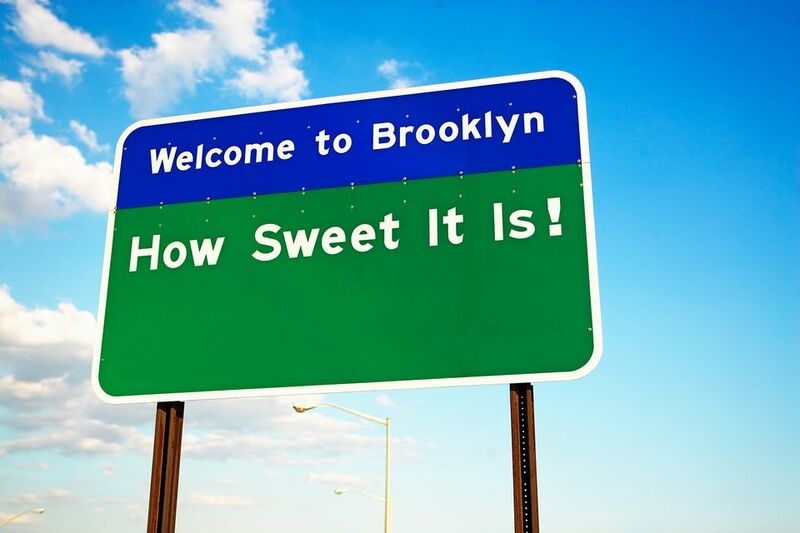 But in truth, there are about two dozen cities, towns, neighborhoods or areas known as Brooklyn in the U.S.
What is is about the name Brooklyn? Let's take a closer look at a few of those other places named Brooklyn. There is little doubt that most of the uses of the place name in the United States originally come from the village founded in 1646 in New York City (then New Amsterdam) by the Dutch settlers there. It is named after the Dutch township of Breukelen near Utrecht in the Netherlands. The word comes from the Old High German language bruoh, which means "moor, marshland." The spelling of the U.S. place name is most likely influenced or distantly related to the word, "brook." In New York, there are two places named Brooklyn. The least known one is a small hamlet in western New York near Buffalo. As of the 2010 census, it had a population of 1,000. When everyone thinks Brooklyn, New York, the one they are most likely referring to is the one where 2.5 million people live. It is one of five boroughs that make up New York City. Up until 1898, it used to be its own city, but then it joined Manhattan, Queens, the Bronx, and Staten Island to become the City New York. Today, if it was to be dissolved from New York City and become its own city again, it would become the second largest city in the U.S. behind Los Angeles and Chicago. The people from the state of Wisconsin seemed to love the name Brooklyn so much that there are four areas in the state named Brooklyn. Between 1840 and 1890, Wisconsin was a major center of Dutch immigration. It may be that's why the Dutch-derivative word was popular in Wisconsin. Brooklyn is a village that spans both Dane and Green counties in Wisconsin. The population is roughly 1,400 as per the 2010 census. Then, there is another nearby Brooklyn, a town in Green County, that has another 1,000 people. There is a Brooklyn, which is in Green Lake County, Wisconsin, several counties away, that has another 1,000 people. At the northern part of Wisconsin, in Washburn County, there is another town named Brooklyn of several hundred people. There are places formerly known as Brooklyn, such as Dayton, Kentucky. Or, there are places that are a nod to being formerly called Brooklyn, such as Brooklyn Place and Brooklyn Center in Minnesota, which both used to part of Brooklyn, Minnesota, formerly a township. The same can be said of East Oakland, California, which old maps show used to be called Brooklyn. In the 1960s, a neighborhood of Charlotte, North Carolina, was razed to the ground. It was formerly known as Brooklyn. Besides the Netherlands, there are other countries that have adopted the name, Brooklyn, too, such as Canada, Australia, South Africa, and New Zealand. Take a look at a list of the other Brooklyns in the U.S.
Other Brooklyns in the U.S.
Brooklyn is a neighborhood of Jacksonville, Florida, in the downtown area. Brooklyn is a village outside of East St. Louis, Illinois and St. Louis, Missouri, popularly known as Lovejoy, Illinois. It is the oldest town incorporated by African Americans in the U.S.
Brooklyn is a town in Clay township in the middle of the state with a population of 1,500. Brooklyn is a city in central Iowa with a population of 1,500. It bills itself as "Brooklyn: Community of Flags." Brooklyn is a neighborhood in Baltimore, Maryland. Not to be confused with Brooklyn Park, Maryland, and Brooklyn Heights, Maryland. Brooklyn, formerly called Swainsville, Michigan, is a village in Columbia Township with a population of 1,200 as of the 2010 census. Brooklyn is an unincorporated community in Harrison County in northern Missouri. Brooklyn is a borough of New York City and a hamlet in northwestern New York. Brooklyn is a city in Cuyahoga County, a suburb of Cleveland, with a population of 11,000. Old Brooklyn is another neighborhood in Cleveland. Brooklyn is a neighborhood in Portland, Oregon, that was originally named "Brookland," for its location near brooks and streams. , There are two unincorporated communities named Brooklyn in West Virginia, one at the northern end bordering Ohio in Wetzel County, and another to the south, in Fayette County. Four places in Wisconsin named Brooklyn.